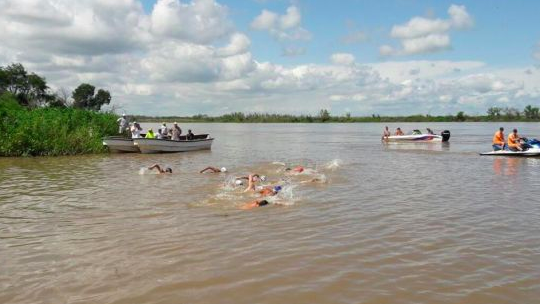 Courtesy of Maratón Acuática Internacional Santa Fe – Coronda, Coronda River, Argentina. 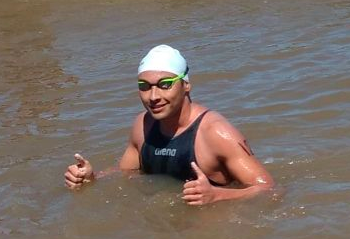 Fausto Brondo from Paraná, Argentina won the Selectivo on November 25th 2017 to qualified for the 57 Maratón Acuática Internacional Santa Fe – Coronda. "Since last year, I wanted to compete in Santa Fe - Coronda. [But] there was no possibility of entering the [qualification race] last year. This year, I competed with low expectations but luckily I got it right." It will be his first race of the 57 km river race on the FINA UltraMarathon Swim Series. "I want to enjoy the marathon, if I can finish within the top ten swimmers, that would be the best. It's very hard and I have no idea what I'm going to find. I'm going to try to push the pace." His coach Carlos Scocco has been pushing him 12-13 km per day with an increase to 14-15 km since December in preparation of his debut. "I can fulfill one of my goals that I promised myself a long time ago. Finishing would be the best and finishing well would be excellent. I will give everything that I have and hope to enjoy every moment."